Crazy busy week last week, but I did manage to get a little bit of work in. I wrote and revised and rewrote my query for Woven several times in the last week. (I even got a critique on it by an awesomely nice real-live agent.) That’ll get revised a couple more times in May before I start querying Woven in June. Character sheets for the superhero short story I’m working on were created this last week. Those are mostly done. I’ll still continue to tweak them and expand them as the days go by. However, I have also started writing the short story. I think you’re going to like these characters, friends. Keep your fingers crossed it gets accepted for the anthology I’m submitting it to. The short story stands just shy of 850 words right now. The first draft is due at the end of the week. (Deadline I set for myself.) I should make it there piece of cake. First round of revisions are nearly done on the first superhero novella (hereon referred to as RotWR). I’m rewriting the ending so it’s more action-packed and stuff which is why it’s going a bit slower than it should. 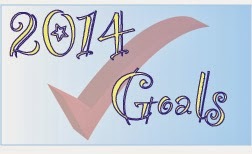 I seem to recall not setting any goals this time last year. That’s probably why it feels so much like this last year was without accomplishment. All right. I didn’t post writing goals at the beginning of the year. Now, I’m posting this list to keep myself accountable. 1- Finish my rewrite of Woven by October’s end. Forgive me if blogging becomes a scarcity. I’m beginning a new job in a week and my schedule is going to be in flux. Because apparently I meant Wednesday. Yeesh. Life is crazy, as it always is. But I’m making steady progress. A few weeks ago I sat down and looked at the queue of writing projects sitting in my head, waiting to be written. There are a lot of them. I definitely had a quake-in-my-boots moment over that. So I sat down and laid out a whole bunch of self-imposed deadlines for all those projects. It’s a bit insane, let me tell you. But so far, I’ve met my deadlines. Which is really just one deadline. I have a deadline this Saturday for my line edits and such on Woven but I’m not so certain I’ll be able to make that. My next deadline is for Curse of Life draft 1 and that’s the last day of September. I might make it if I really push but I might miss it. I have all sorts of other deadlines interspersed throughout and will at one point soon, I hope, have a manuscript in the query stage, one in the revision stage, one in the drafting stage, and one in development/research stage. Also, if I make all my deadlines I’ll have something ready to start working on when NaNo comes around. It’ll be my first time participating in this and I am really looking forward to the prospect. Wow. Where did the first half of the year go? I can’t believe it’s already July. Let’s see. Woven is off to betas. Thank you so much to all those who offered. If I didn’t take you up on the offer, don’t despair. I may still need you a couple drafts from now. While Woven is away for summer camp, I’ve been feverishly working on research for Jason McDaniels and the Hammer of the Gods. (That’s a mouthful so it will now be HOG for purposes of brevity.) I know I’ve been venting my research woes here on the blog. Thank you for putting up with that. I promise my blog posts will become more random instead of being stuck on Pete and Repeat. I finished most of the research I needed to do. Enough that I could actually sit down on Saturday and plot out the entire book. This is going to be an adventure novel. I’m aiming for around 60-65K for word count. It’s YA, but a bit on the older end of the YA spectrum. I’m aiming to have it finished or mostly finished by the end of the month. It’s a tall order but I think I can fill it.